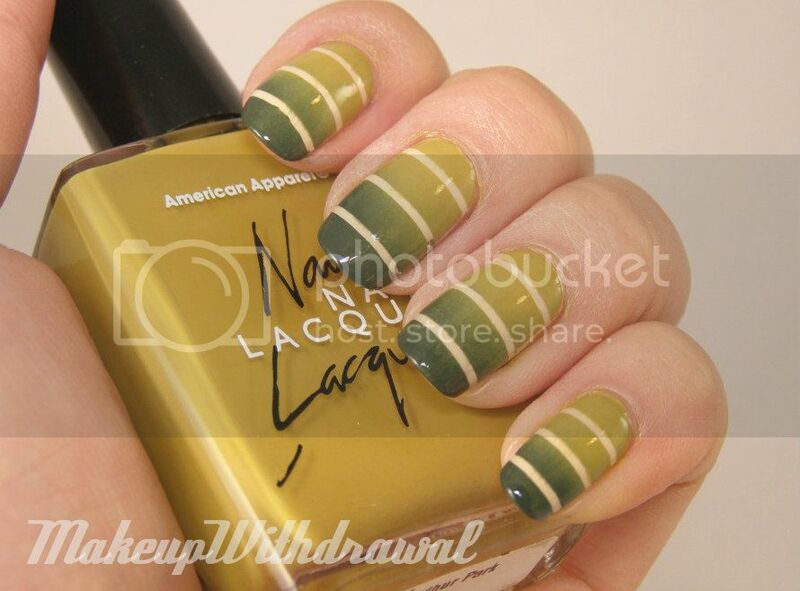 I love using striping tape and doing a color transition at the same time. Here, I started out with a base of American Apparel California Trooper, applied the striping tape when it was dry and then sponged American Apparel Mac Arthur Park and OCC Tattoo according to this method here, that I previously did a tutorial on. Ick, I did not really clean up all too well on this manicure, my cuticles look rather wretched. 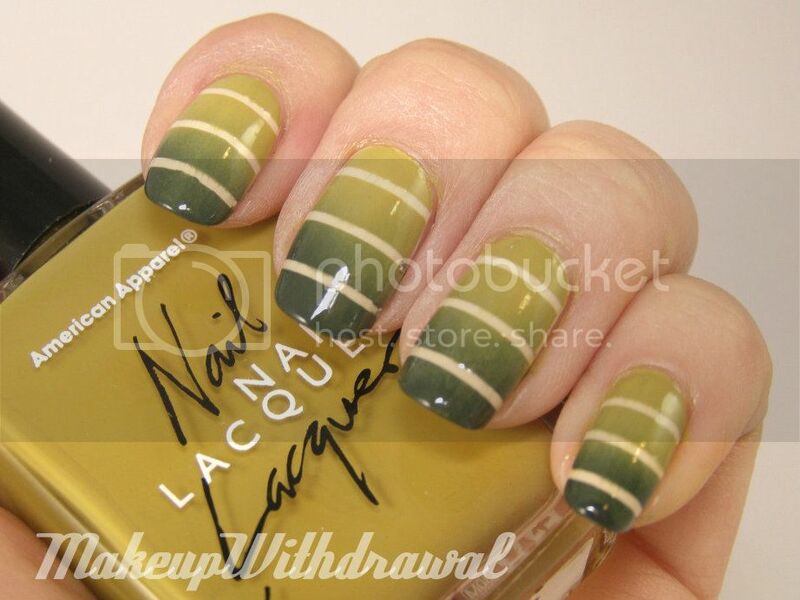 <3 really love this, fabulous color choices!